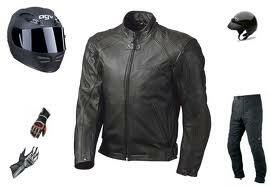 Professional racing leathers, boots, spine protector and gloves are the last words in protective clothing e.g. look at any superbike race track. A snug fit is important as leather stretches. 1. Buy gear that offers superior protection to areas of the body where the bone is just below the surface of the skin e.g. knuckles, shoulders, hips, knees and ankles. 2. Injuries that occur in these areas can take up to 2 years to heal properly as the skin being so thin has difficulty regenerating itself. There is a simple formula when it comes to riding boots. The more professional the riding boot, the less comfortable it is to walk in. Generally sport bikers and MX riders do not like to walk . . . no problem!! Choose the best professional competition or MX boots you can afford that offer protection right up over the shins. All else is compromise i.e. the protection while still offering mobility. It is for this reason that long distance bikers use strong outdoor-type boots that offer firm ankle protection. The sole must not make gear changing awkward and walking around town still comfortable. Visit a good outdoor store and ask to see boots that have been professionally graded as "Off Trail" (rather than "On Trail").This means that they have a very stiff sole and offer good ankle protection. In the event of an accident you want a boot that will brace your ankle and a hard sole that will not bend, twist or collapse thus preventing your foot from being crushed. Remember that in non fatal accidents the most common permanent, debilitating injuries are to the feet, ankles and lower legs. They should have a breathable/waterproof inner layer which not only offers protection from rain but offers more warmth. Check out the new generation of 'Off Trail' boots with a more synthetic construction as they dry a lot quicker than the traditional leather uppers. Some long distance off road touring dudes compromise by using a pair of soccer/hockey shin protection pads tucked into a pair of long socks when the going gets really tough. There is only one story with gloves and that is . . . protection, protection, protection. The skin around the fingers and knuckles is thin and does not heal easily. Maximum protection for high speed riding means only one thing i.e. gloves with hard Kevlar panels. You also need protection against the type of cold weather you are likely to expect at that time of the year. Cold hands do not give your brain the feedback it needs to control things like hard braking on slippery surfaces. Conversely desert riding in thick warm gloves can drive you nuts with the heat. This means owning two or three pairs of gloves i.e. a winter and summer pair and possibly a thin pair of inner gloves if you live where it gets really cold. It is a good idea to give the back of your gloves a light coating of heavy duty Scotchgard or any another waterproofing product suitable for leather hiking boots. Most gloves use a heavy grade of Velcro around the wrist area. Depending on the cut and design it can do a lot of damage to the inner lining of you jacket - solution? Pants are a big problem and to date I have not owned a pair that delivers everything I want i.e. crash and slide protection, cool in summer, warm in winter, waterproof, dries quickly, offers knee protection, looks smart and does not smell after a long hot day on the road. This sounds like a tall order but many jackets score well in all of these requirements. Most bikers wear denim jeans but studies have shown that cotton is not resistant to the abrasive forces in a motorcycle accident. They also take a long time to dry which creates problems should it rain or you need to wash them on a long tour. There are sport-biker leather pants available but these are very hot in summer. Some stores do have other padded Kevlar pants that are a bit cooler.